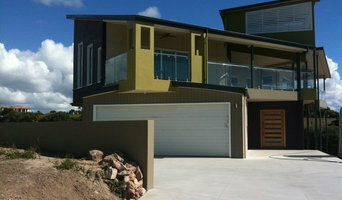 Amazing Decks Pty Ltd is an Australian owned and operated company that has been in the building industry since 1996. 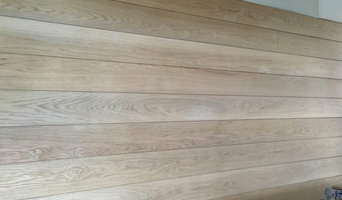 We at Amazing Decks have built a solid reputation on quality service and workmanship to ensure us repeat business that has grown our business over the years. Our company offers our clients the flexibility of designing the own outdoor deck, or patio area to their own special needs. Amazing Decks has the expertise to demolish and rebuild an existing deck or the most complicated designed deck into a masterpiece to be admired. If you are looking for a professional deck builder than you have found the right company. We think our decks are amazing and so will you. At Amazing Decks we are 100% committed to delivering a safe working environment. Our company places the highest priority on health and safety for our workforce and the environment. So if you want the most trusted and experienced Deck Builders in Brisbane, Sydney, Gold Coast & The Sunshine Coast then call Amazing Decks today on 1300 725 523. Adapt it Group Design Build and install Patios, Pergolas, Awnings, Decks and Blinds, to give you outdoor living and entertaining area. They are the NECESSARY adaptation to your home in Brisbane’s climate. Your family will thank you for ever once you create that perfect Patio and entertaining area at your home. The first requirement of a good outdoor patio is “Rainproofing”. Once the rain can be kept away, the BBQ’s can start at random. Premium Lifestyles is a company based in Australia that has expertise in the design and construction of premium quality decks, patios, and parking spaces. The company’s core is founded by its team for trade professionals, who's variations of knowledge and experience are pulled together to ensure that every client’s receives the best experience with their outdoor project. Moreover, they offer the best quality materials and the most updated construction practices by continually doing research about new and improved products Premium Lifestyles deals a full range of services, backed by the highest quality professional products. They are customer focused and driven with a goal towards delivering only the best quality in both product and service to help you to achieve your home improvement goals. They concentrate in working with customers to create the excellent outdoor living space. They will ultimately satisfy every precise requirement for their client’s home improvement. Not to mention, they present attractive custom decks, designed to their customer’s standards and built with the finest materials and craftsmanship. 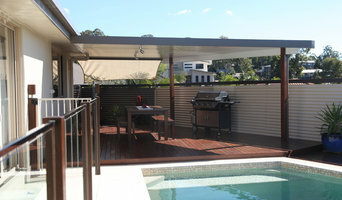 Pro Decks Brisbane is a timber building company that has existed for more than a decade. The company is dedicated to providing Brisbane and surrounding residents with the highest quality building services. The company’s team consists of licensed and qualified tradesmen who are well experienced in the field. It not only focus on meeting the customer's expectation but exceeding it completely. We always guarantees provision of the best services at the most affordable prices. To make you know the wide range of benefits a customer will always get from this company, this business description will list some of them that include; ** Dealing with a very experienced team ** Qualified and Licensed Queensland builders ** Caring and courteous customer service ** Public Liability insurance worth $20 million ** Professional design crew ** Tremendously competitive pricing ** Free measure and quote ** Master builder Association Some of the services offered by our expets include; ** Building for commercial, industrial or residential. 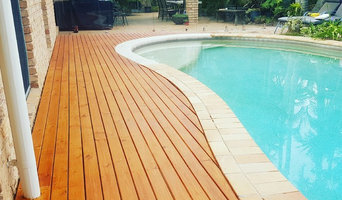 ** Wooden decking designs ** Enclosures and outdoor rooms ** Customized design patios ** Timber deck specialization ** Customized carport building specialists We provide their services in the following parts of South East Queensland; ** Ipswich ** Toowoomba ** Brisbane Southside ** Brisbane East and west ** Brisbane Northside To start enjoying the company’s experts excellent services, you are advised to visit their friendly team in either of the above-mentioned locations. In addition, you can still contact them through a phone call for any inquiry. Discover why Brisbanecarports.net.au has been an innovative builder since past ten years. We have served around 500 carports, patios and timber decks in Queensland. 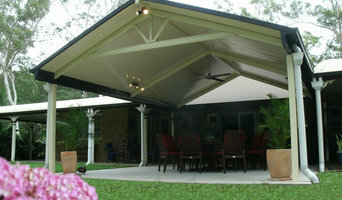 We are proud to be the leading carports, patios builder in Queensland. Why choose us: It is our mission to provide you with the best shed, carport, garage or barn and not only to make you a happy customer but to make you a fan of all of our services. Your job is fully insured as all employees are experienced, bonded professionals Services: · Varieties of options for roof material. · Options for designs. · Experienced and skilled employees. · Friendly services. Location: · North Queensland · South-East Queensland · All of Central Queensland · Gold Coast. We will give you the personal touch you're looking for, at a price you can afford. In addition, your new garage will add to the value of your home and provide a lifetime of worry-free security for you and your valuables! Give us a call and experience our services, and we assure you that you will not forget us. Patios have come into their own over the last few years. Once little more than slabs of plain concrete complemented by a tin roof, most homeowners today place as much importance in these spaces as they do the rest of the house. Designs for patios continue to grow more elaborate with the passing of time, and so have the considerations homeowners have to make when it comes to crafting the perfect outdoor space. And chief among these considerations is the issue of roofing. Why Choose · Excellent Workmanship · Quality Customer Services · Affordable · Reliable Services SERVICES · Patio building · Timber decking · Carport building · Outdoor rooms · Extensions Service Locations - Brisbane Northside - Brisbane Southside - Brisbane East and West - Ipswich - Toowoomba - Gold Coast - Sunshine Coast - Tweed Heads No matter where you are located, Brisbane Patios will reach you and create your dream patio, carport, or extension. Brisbane Patios will leave your premises after the completion of the final inspection to ensure that the structure is in its best style and condition. Volcation Landscaping is one of fast growing landscaping company in Brisbane; we provide an integrated and various landscaping service to meet your requirements in every aspect of your residential or commercial property. “At Volcation Landscaping, you will meet our friendly and experienced consultants with our professional and licensed structural landscapers; they are here to help you to create one-stop solution in terms of Free on-site quote, tailor-made design, stunning construction and thoughtful maintenance. “Our Slogan is “Volcation Landscaping, we improve your property value and appreciation. At Urban Patios & Decks we pride ourselves in the design and installation of patios, decks, carports and outdoor entertaining areas. From the initial in home consultation through to detailed design, installation and clean up - we're here to help.